After I came back to the states, I still remembered the the awesome taste of the dip/tambli. So decided to make it but did not want to use cream. To keep it healthy, I used some fat free greek yogurt. That way I could enjoy the dip as much as I wanted and enjoy it without any guilt. The beauty of this dish is that you can serve it a number of ways. If you keep the consistency thick, it can be served as a dip. 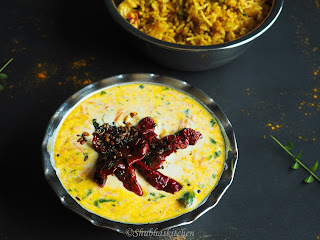 If you make it little runny, it can be served as a Raita acting as an accompaniment to rice. 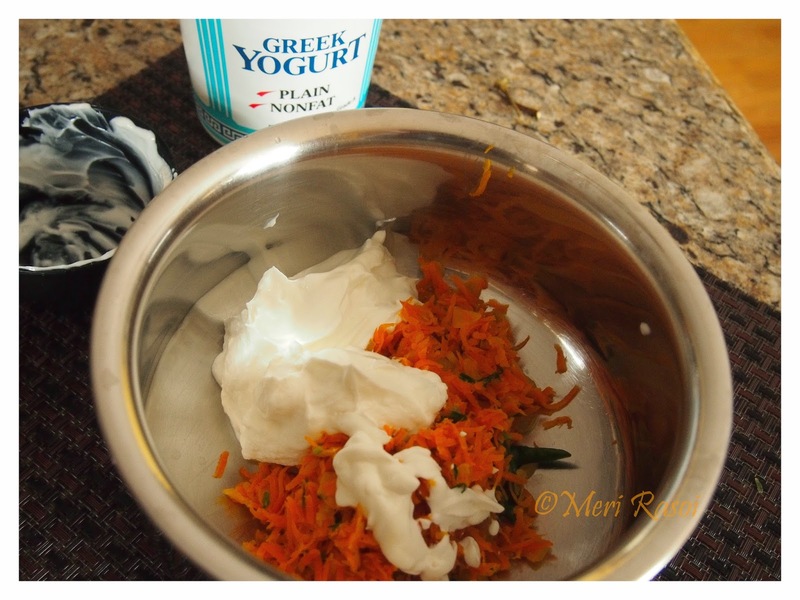 Besides using greek yogurt , I have used milk to adjust the consistency of the dip. Heat 1 tbsp of ghee in a pan. 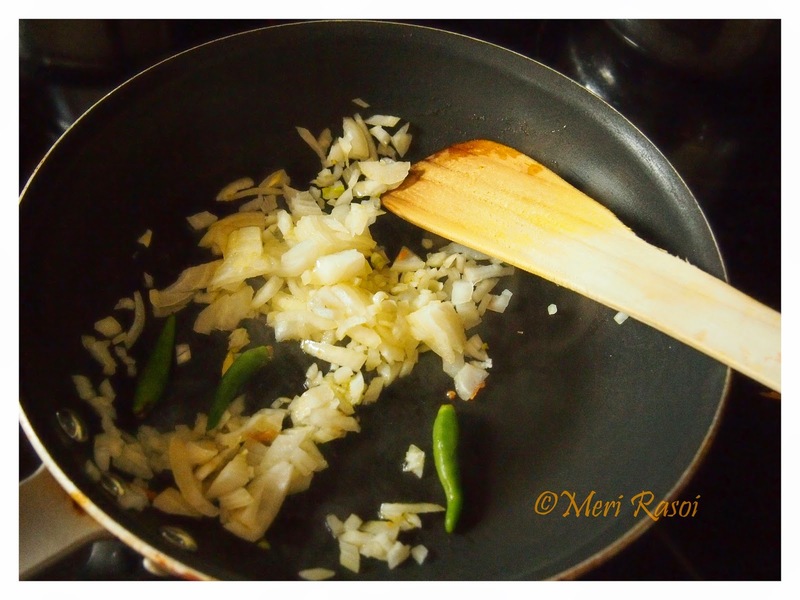 When hot add the onions and the green chillies. 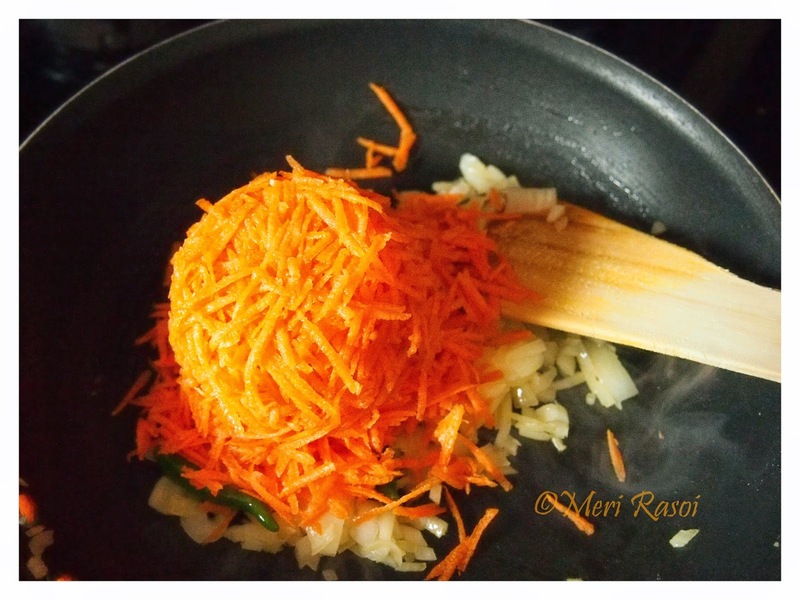 When the onions turn translucent, add the carrots . 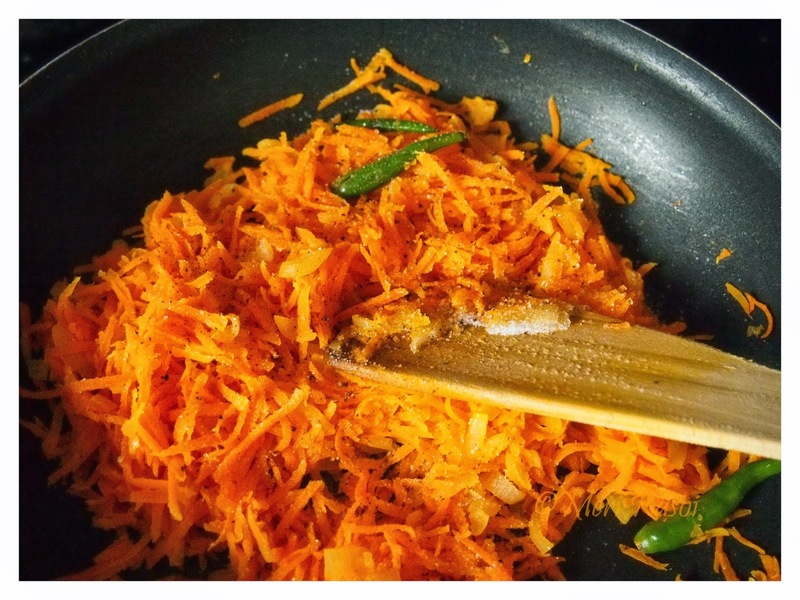 Saute until the carrots turn soft and tender. Add some crushed pepper and salt as per taste .Once done, turn off the heat and set it aside to cool. 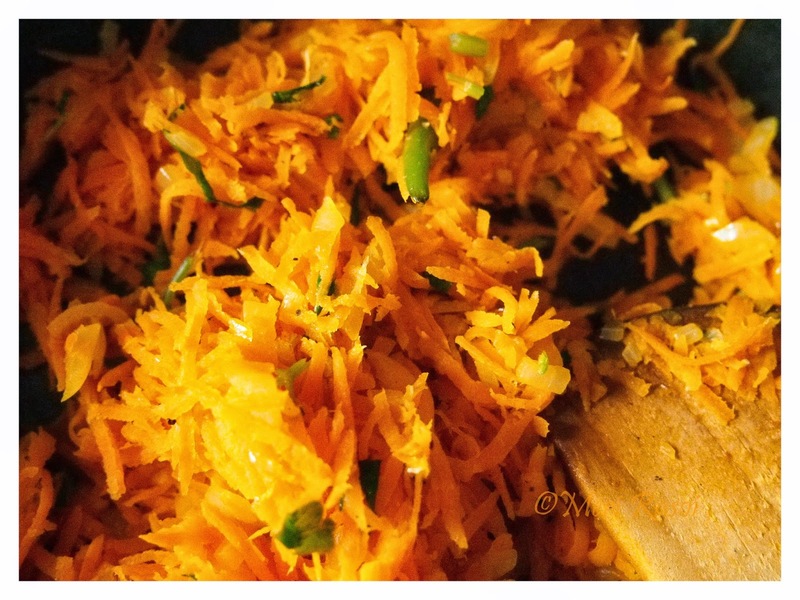 Once the carrot mixture has cooled, add the chopped cilantro to it. Add in the greek yogurt and mix well. Add milk little by little until you achieve the desired consistency. To prepare the tempering, heat 2 tsp of ghee. 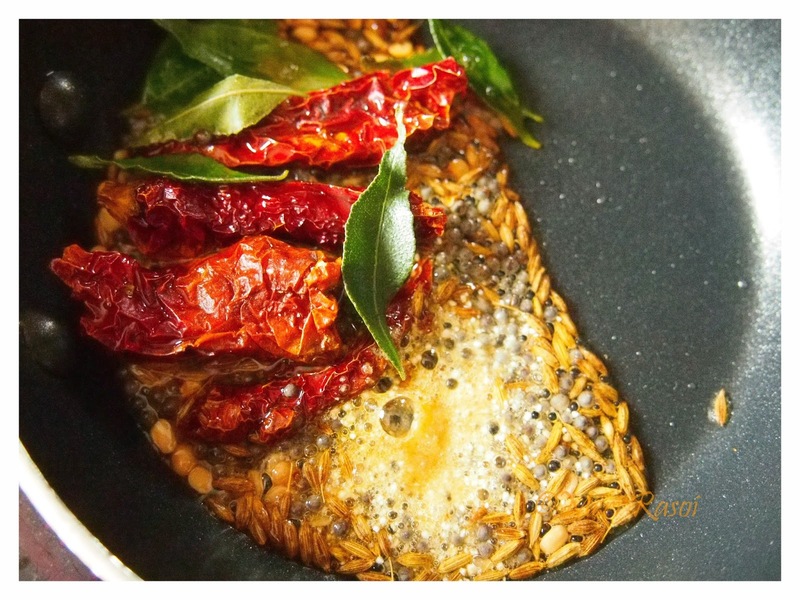 When hot, add the cumin seeds, urad dal, mustard seeds, dry red chillies and curry leaves. 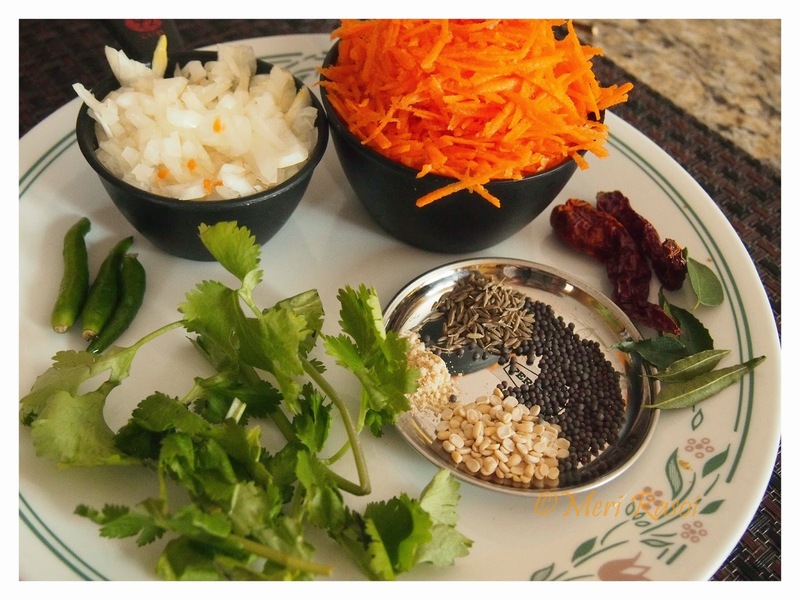 When the seeds start to splutter, add the asafoetida. Turn off the heat. 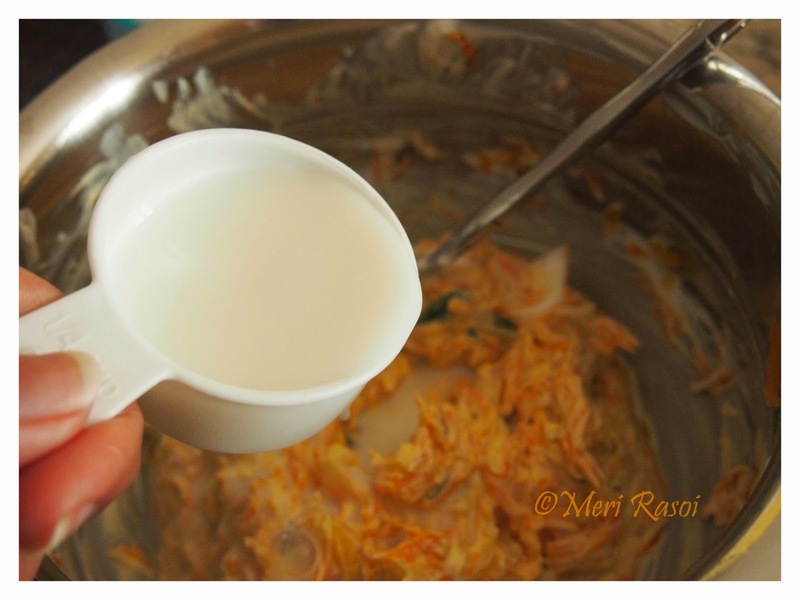 Add this tempering to the carrot-onion-yogurt mixture. Serve with toasted pita bread or as an accompaniment to rice. Ty so much Anu.. My fav is the tempering.. I like to get the crunch from the dals.. gives a great touch.. I want to eat lunch at your house! This looks so good! I have a thing for little endearing real life incedents. That cute story was very affable and brought a smile to my lips. 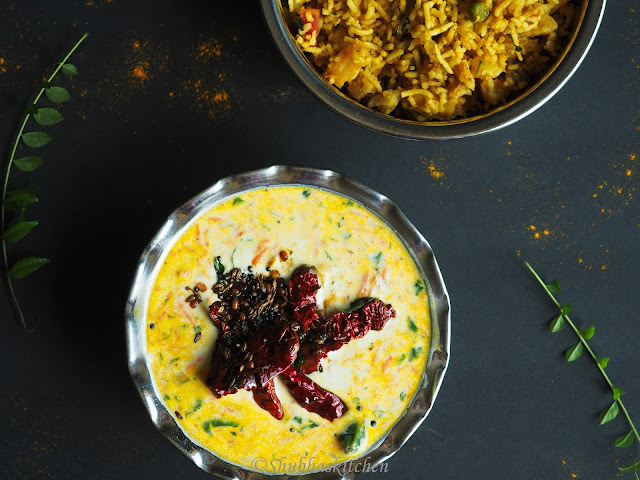 The dip marries traditional South indian flavours with the creaminess of the low calories Greek yogurt. Very nice. I make the raw version and now another for me to try. Its so vibrant with the right flavors. this reminds me of Opo(ghiya) raita I make! 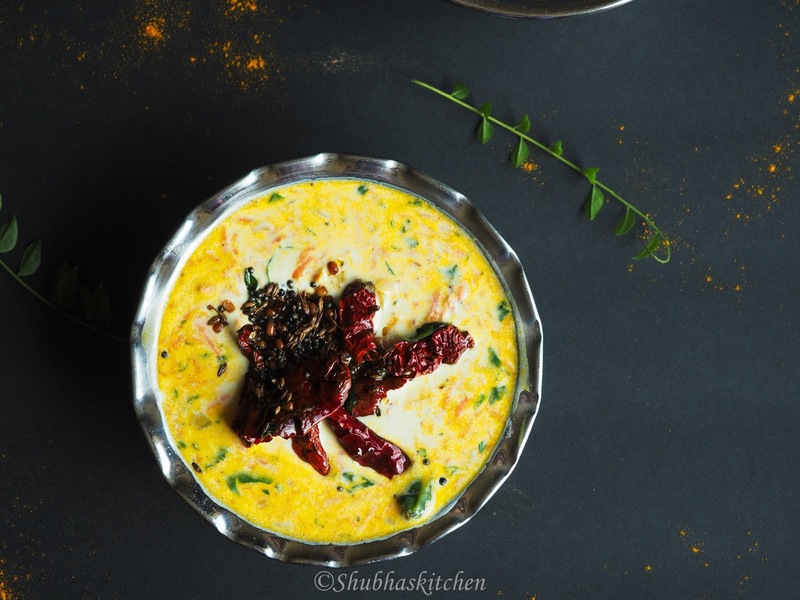 Color of carrot in raita looks so cool, Shubha! with a bowl of chips, it will a delicious dip! indeed! pinning! carrot onion raita looks delicious. Raitha looks good..I just mix up everything, never cared for seasoning!! ;) yours make me to try it. Thx! !